Occasionally, we’ll share guest posts from our community of fellow Red Meat Lovers….not all of us are pros but we all have some good tips to share that might help others. If you have something you want to share, please contact admin@redmeatlover.com ….we’d love to hear from you! 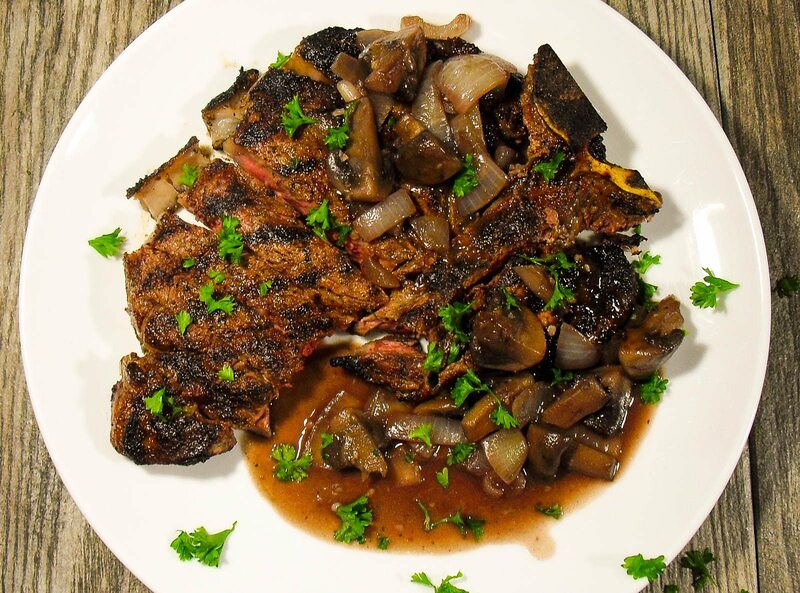 Today we’re sharing a simple steak marinade and steak sauce from Paul D – St. Louis, MO. For years I was a self proclaimed purist when it came to meat. A little salt and pepper and some form of seasoning, maybe on a wild day a good dry rub, but that was it. If a good cut of meat was cooked correctly, then it didn’t need anything else. My theory was if you doused it with sauce what were you trying to hide? That was until I was at a buddy’s house and he served this incredible blackberry and red wine reduction. I was blown away! Wanting to learn this sorcery I asked him for the recipe. He proceeded to give me this laundry list of ingredients and a cook time of 2 to 3 hours. Needless to say my time on the sauce bandwagon was short lived! Well now that I am older and wiser I have decided to dabble in the dark arts once again. And I have to say I have been missing out! Since this is my first time contributing I am going to offer a two for one special. 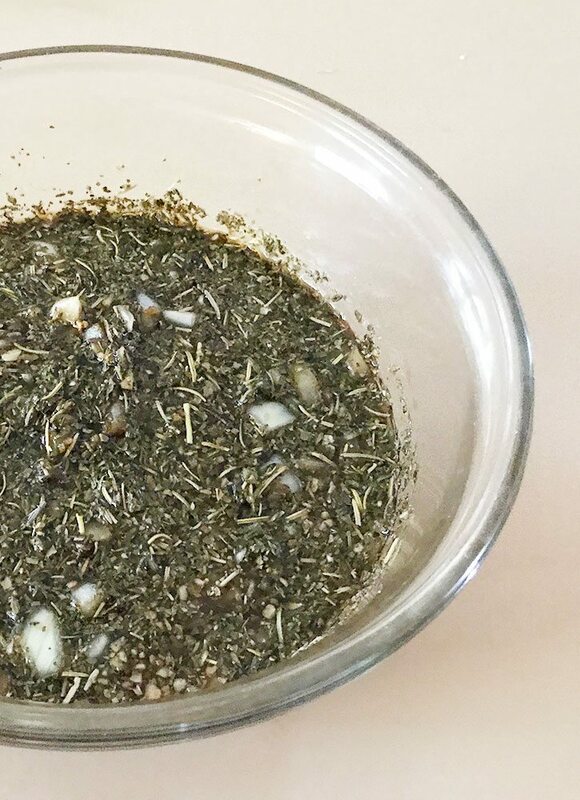 Today I’m going to share with you a quick and easy herb marinade and a white wine and mushroom sauce. Mix the ingredients and pour over the steak. Before flipping the meat in the marinade, I recommend you let it rest for at least 1 ½ – 2 hours. At the end of the soak time take the meat out of the marinade and pat dry with paper towels. 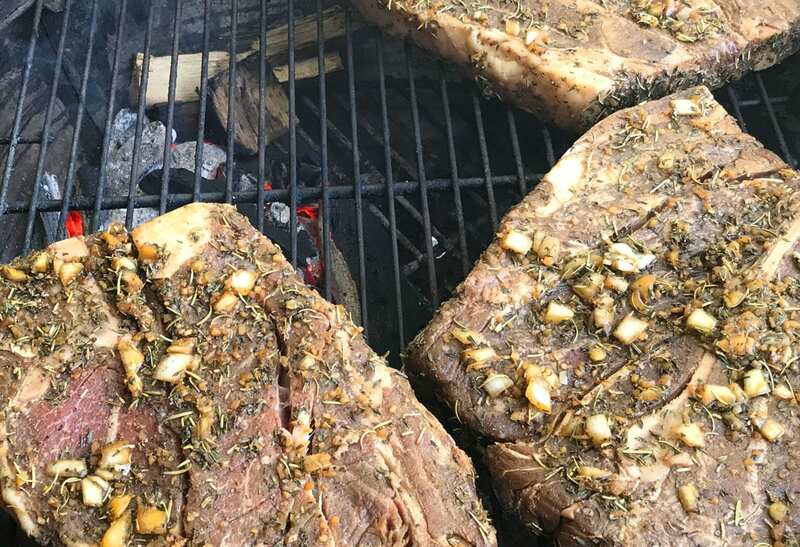 Don’t wipe off the herbs as they taste delicious when cooked, but make sure you dry your steak or roast. If you don’t you won’t get a good char. Ok I won’t go into depth with how the grilling process as my focus is on the before and after…but here’s a pic on the grill. Now that the meat is cooked and resting, let’s make the sauce! Ok so first things first. What in the world is prepared beef gravy? Prepared beef gravy can be powdered beef gravy mix or jarred brown gravy. I used a packet of McCormick Brown Gravy Mix because that’s what I had on hand. Now that you have all the ingredients grab a saute pan and melt the butter and saute the onion, garlic and mushrooms. Till they have some color to them, about 2 -3 minutes. Then add the brown gravy, white wine and sour cream. Mix and bring to a boil. Pour sauce over steaks and sprinkle the chopped parsley as a finishing touch. The combination of a good soak, good cook, and a great sauce will elevate any cut of meat even for the purist out there! Mix the Marinade ingredients only and pour over the meat - pretty easy, huh?! Before flipping the meat in the marinade, I recommend you let it rest for at least 1 ½ - 2 hours. Use a saute pan to melt the butter over a medium high heat. Once butter begins to brown add the onion, garlic and mushrooms. Cook until they have some color to them, about 2 -3 minutes. Next, add the brown gravy, white wine and sour cream. Mix together in saute pan and bring to a boil.